supplying a heat pump pool heater at a price, discounted from the recommended retail price. during the cooler months. You can have your pool heated for just that occasion, by turning the pool heat pump on 12 hours* before. Heat pumps are economical to operate and deliver significant savings over gas and conventional pool heating systems. *Conditions apply: This time depends on the temperature of the air at heating time, pool size, current and target water temperature and kW rating of heat pump. Contact us for a pool heating system design for your requirement. Enjoy Winter family pool activities by heating your pool up and using it and its surroundings for fun, entertainment and even for a barbecue, just as around the pool at Prince Albert Park. Call Steve 0408 227 581 for a quick fix. whenever you want to in cooler but sunny Winter weather at CHEAPEST RUNNING COST. So take control of your pool's temperature! Click herefor enjoying your pool whenever you want to in WINTER. Don't let the weather dictate your life! Keep the chill out of the pool. Copyright 2013. Nash Plumbing Pty. Ltd.
Gas swimming pool heating, heat pump pool heating, equipment from Hurlcon, Raypak, Accent and Pentair. MasterTemp® gas pool heater is our latest offering for reliable, energy efficient and fast pool and spa heating. Viron pool heaters: gas pool heaters and heat pump pool heaters. and installing it, offering 7 years warranty on workmanship. is a complex interconnected or interwoven task that requires to be managed as a project. and supplying a heat pump pool heater at a price, discounted from the recommended retail price. Having your pool heated every day may be too expensive for most households. of a conventionally designed gas heating system. 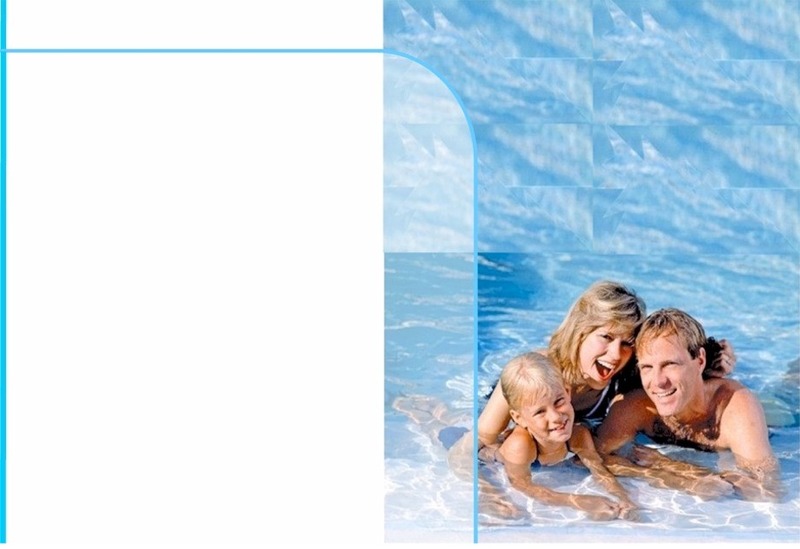 Heating your pool ON DEMAND is when you decide to use your pool on a specific day or days. and also gains a little heat from sunshine if available. Thus the heat pump heater RUNNING COST is almost halved. by being charged at OFF-PEAK 2 electricity rate. All times stated are based on Australian Eastern Standard Times (AEST). Off-Peak 1 price is available for supply that is usually available for a 6 hour duration between 10pm to 7am. Off-Peak 2 price is available for supply that is usually available for 16 hours including more than 6 hours between 8pm to 7am AEST and more than 4 hours between 7am to 5pm AEST. of Using Heat Pumps with or without a solar pool blanket? Using a spreadsheet modelling technology, Sydney Pool & Spa Heating can generate for your swimming pool a table of monthly average running costs for heating your pool water to a specified temperature. The average monthly costs are obtained by averaging the monthly weather information from your area over a large number of years. This information is obtained from the Bureau of Meteorology. The tables below show these monthly average costs* for maintaining the water temperature at 27º C for our centrally located Castle Hill swimming pool with characteristic features as indicated below. The tables below show the heat pump heating costs maintaining this water temperature with** and without blanket cover, the pool being exposed to the average monthly weather in the local area. Tables showing average monthly costs for maintaining the water temperature at 27º C for the Castle Hill Swimming pool. The costs in the tables above give these average monthly costs for Spring, Summer and Autumn only. 12 or 6 monthly average costs are also available. As an example, if equipped with an appropriate pool cover, the average cost of maintaining the Castle Hill swimming pool at a water temperature of 27º C in October, using a heat pump pool heater would be $86 and without a pool cover $263. You can compare month by month or annually, the running costs of using a heat pump pool heater with or without a pool blanket. You can save more than 65% of the running cost by the installation of a solar pool blanket. On this modelling for the Castle Hill swimming pool, on average, about 72% of the running cost would be saved by using a gas pool heater in conjunction with a solar pool blanket during October and November 2011***. *These costs were obtained using 2010 gas and electricity rates. **An appropriate pool blanket is used. Cost of 0 in any month in the tables indicates that pool is not heated and is unlikely to be used used in that month. ***Conditions apply. The water circulating electric pump is also a substantial contributor to the running costs. In Sydney, the OFF PEAK electricity rate can be set up at less than half the rate during PEAK periods. Therefore, we recommend that consideration be given to heating the pool water mainly during OFF PEAK electricity periods, usually over night if it is safe to do. Water temperatures have been obtained from a small Castle Hill open air salt water swimming pool about 1 metre under the water surface. This pool has a water surface area of 30 m², water volume of 40 m³, no water heating installed, no pool blanket cover, no shade cover after 9:30 am, normal wind exposure and light bottom colour. The tables below sets out this Castle Hill's pool water temperatures during July, August & September 2013. The pool water temperatures would be different for pools in different locations and with different distinguishing characteristic features. By a quick inspection of the tables below, you will see that pool water temperatures had been 9 to 14 °C all through July and in August, the pool temperatures had been 10 to 16 °C. As for September, we seem to have slightly warmer days so far. These pool temperatures had fallen well short of the leisure swimming temperature range, ideally between 25° and 28° C. This situation could be improved. Thus the pool was extremely chilly throughout July & August 2013. Installing a heat pump pool heater together with a solar pool blanket cover will then extend the use of your swimming pool into any day during Winter. And if you heat your pool ON DEMAND when you want to use it, the cost would be less than what otherwise it would have been without a solar pool blanket cover. Heating up your pool initially on such a day would cost a little less than heating it without a pool cover. Then if you cover your pool when it is not used, heating your pool on the next day would cost much less as the solar pool cover would have retained most of the heat generated in the first heat up. At present, unless blocked out by clouds, direct sunshine is mostly all over the pool from 10 AM - 2 PM. Monday 1st 8/19 19°C 12°,12°,13° Sunny. Winds W and light. Tuesday 2nd 6/19 19°C 12°,12°,12° Sunny. Winds S/SW 15 to 25 km/h. Wednesday 3rd 5/19 19°C 11°,12°,12° Sunny. Light winds->NE 15 to 20 km/h. Thursday 4th 4/23 19°C 11°,12°,12° Sunny. Winds NW 20 to 30 km/h. Friday 5th 10/19 19°C 11°,12°,12° Sunny. Winds W 25 to 40 km/h. Saturday 6th 4/17 19°C 10°,10°,11° Sunny. Winds W 20 to 30 km/h. Sunday 7th 4/18 19°C 10°,10°,11° Sunny. Winds W/SW and light. Monday 8th 4/18 18°C 9°,10°,10° Mostly sunny. Winds SW and light. Tuesday 9th 6/15 19°C 10°,10°,10° Partly cloudy. Wind SE/SW 15 to 25 km/h. Wednesday 10th 7/15 18°C 10°,10°,10° Cloudy. Winds W/SW and light->N/NE 15 to 20 km/h. Thursday 11th 7/17 18°C 10°,10°,11° Partly cloudy. N->W/NW 15 to 25 km/h. Friday 12th 5/19 18°C 10°,10°,11° Mostly sunny. Winds S/SW and light->N 15 to 20 km/h. Saturday 13th 5/19 18°C 10°,11°,11° Partly cloudy. Winds N and light..
Sunday 14th 5/19 18°C 10°,11°,12° Partly cloudy. Winds N/NE and light->W 15 to 20 km/h. Monday 15th 11/20 17°C 11°,11°,12° Partly cloudy. Winds N/NW and light->15 to 20 km/h. Tuesday 16th 10/20 17°C 12°,12°,13° Partly cloudy. Rain. Winds S/SW 20 to 30 km/h. Wednesday 17th 10/24 18°C 12°,13°,14° Partly cloudy. Wind SW 15 to 25 km/h->25 to 30 km/h. Thursday 18th 10/23 18°C 13°,13°,14° Partly cloudy. Winds N->SW 15 to 20 km/h. Friday 19th 13/20 19°C 13°,13°,14° Mostly cloudy. Winds N 15 to 25->30 to 35 km/h. Saturday 20th 11/20 19°C 12°,12°,13° Sunny. Winds NW 20 to 30 km/h->S/SW 15 to 25 km/h. Sunday 21st 6/16 19°C 11°,12°,12° Sunny. Winds W/NW 20 to 30 km/h. Monday 22nd 5/17 18°C 11°,11°,12° Sunny. Winds W/NW 15 to 25 km/h. Tuesday 23rd 4/17 18°C 10°,11°,11° Partly cloudy. Winds W/SW 15 to 30 km/h. Wednesday 24th 7/17 19°C 10°,11°,11° Partly cloudy. Winds S/SW 20 to 25 km/h. Thursday 25th 5/18 19°C 10°,11°,11° Mostly sunny. Light winds. Friday 26th 5/18 19°C 10°,11°,11° Mostly sunny. Winds S/SW and light. Saturday 27th 4/19 17°C 10°,11°,11° Sunny. Light winds->W/NW 15 to 25 km/h. Sunday 28th 5/19 17°C 10°,11°,11° Partly cloudy. Winds N 15 to 20->SW 15 to 25 km/h. Monday 29th 7/22 18°C 10°,11°,12° Mostly sunny. Winds N->W 15 to 20 km/h. Tuesday 30th 8/20 18°C 11°,11°,12° Partly cloudy. Winds S 15 to 25 km/h. Wednesday 31st 11/17 18°C 12°,12°,12° Partly cloudy. Winds S/SW 15 to 25 km/h. At present, unless blocked out by clouds, direct sunshine is mostly all over the pool from 10 AM - 3 PM. Thursday 1st 5/19 18°C 11°,11°,12° Partly cloudy. Winds S/SW and light->S/SE 15 to 20 km/h. Friday 2nd 6/20 18°C 11°,11°,12° Mostly clear. Winds NW->S/SW 20 to 30 km/h. Saturday 3rd 7/19 18°C 11°,11°,12° Mostly sunny. Winds NW/W 15 to 20 km/h. Sunday 4th 8/19 18°C 12°,12°,12° Mostly sunny. Winds NW/W 20 to 40 km/h. Monday 5th 5/20 17°C 11°,11°,12° Sunny. Winds W/NW->N/NW 15 to 20 km/h. Tuesday 6th 7/23 17°C 11°,11°,12° Sunny AM. Winds W/SW 25 to 35->15 to 20 km/h. Wednesday 7th 9/17 17°C 12°,12°,12° Sunny AM. Partly cloudy. Winds NW 15 to 25 km/h. Thursday 8th 8/14 17°C 11°,11°,12° Cloudy. Showers. Winds SW 30 to 45 km/h. Friday 9th 5/19 17°C 11°,11°,12° Partly cloudy. Winds SW 15 to 25->N/NE 15 to 20 km/h. Saturday 10th 7/23 18°C 11°,12°,13° Sunny. Winds N 15 to 25 km/h. Sunny weekend weather is NOW ON and it is expected to continue into the coming weeks. and basking in the warm sun. If it has been done in Prince Albert Park, you TOO can heat the pool up, on demand, at a surprisingly affordable price. After your family and invited friends have a swim in your own gas heated pool, its surroundings can become a setting for fun, entertainment and for a barbecue. For making use of your pool this Winter, contact Steve for a quick gas pool heater installation, service or repair while these sunny days last. Sunday 11th 4/23 18°C 12°,13°,14° Sunny day. Winds N/NW and light. Monday12th 8/25 17°C 12°,13°,12° Sunny AM. Cloudy PM. Winds NW/W 15 to 45 km/h. Tuesday 13th 6/21 17°C 12°,13°,14° Sunny. Winds NW/W 15 to 30 km/h. Wednesday 14th 10/23 18°C 12°,13°,13° Sunny. Winds W/NW 15 to 25 km/h. Thursday 15th 9/18 17°C 12°,12°,12° Sunny. Winds W/SW 25 to 40 km/h. Friday 16th 3/21 17°C 11°,11°,12° Sunny. Winds NW 10 to 20->NE 20 to 35 km/h. Saturday 17th 10/24 18°C 11°,12°,12° Sunny. Winds W 30 to 45 km/h. Sunday 18th 10/22 18°C 12°,13°,14° Sunny. Winds NW 20 to 30 km/h. Monday 19th 9/21 17°C 12°,12°,12° Mostly sunny. Winds NW 20 to 30->W 35 to 45 km/h. Tuesday 20th 4/16 17°C 11°,12°,12° Sunny. Winds S/SW 20 to 35 km/h. Wednesday 21st 4/17 17°C 11°,11°,11° Mostly sunny. Winds S/SW->W/NW 15 to 25 km/h. Thursday 22nd 3/18 17°C 10°,11°,11° Partly cloudy. Winds W/NW 15 to 25 km/h. Friday 23rd 10/19 19°C 11°,12°,12° Mostly cloudy. Winds W 20 to 30->25 to 40 km/h. Saturday 24th 9/23 18°C 11°,12°,12° Sunny. Winds SW 15 to 20 km/h->Light in PM. Sunday 25th 6/23 18°C 11°,12°,14° Sunny. Winds S 15 to 25 km/h. Monday 26th 7/21 17°C 12°,13°,14° Mostly sunny. Winds NW/NE->W 15 to 20 km/h. Tuesday 27th 9/22 19°C 13°,14°,15° Mostly sunny. Winds light->S/SE 15 to 20 km/h. Wednesday 28th 8/23 18°C 13°,14°,15° Sunny. Winds light->NE 15 to 25 km/h. Thursday 29th 8/23 17°C 13°,14°,15° Partly cloudy. Winds NE 20 to 25 km/h. Friday 30th 12/27 19°C 14°,15°,16° Sunny. Winds N/NE 20 to 30->S 15 to 20 km/h. Saturday 31st 11/24 18°C 14°,15°,16° Partly cloudy. Winds W/SW and light->SE 15 to 20 km/h. At present, unless blocked out by clouds, direct sunshine is mostly all over the pool from 9.30 AM - 3.30 PM. Sunday 1st 9/23 18°C 14°,15°,16° Sunny. Winds E/NE 15 to 20 km/h. Monday 2nd 9/24 18°C 14°,15°,16° Sunny. Winds E/NE 15 to 25 km/h. Tuesday 3rd 9/23 18°C 14°,15°,17° Sunny. Winds E/NE15 to 25 km/h. Wednesday 4th 9/24 19°C 14°,16°,17° Sunny. Winds NE 15 to 30 km/h. Thursday 5th 10/29 19°C 15°,16°,18° Sunny. Winds NE 15 to 20 km/h. Friday 6th 13/25 18°C 16°,17°,18° Partly cloudy. Winds SW->E/SE 10 to 20 km/h. Saturday 7th 13/32 19°C 16°,18°,20° Sunny. Winds S/SE 10 to 20 km/h. Sunday 8th 17/21 18°C 18°,18°,18° Mostly cloudy. Winds E/SE->NE 15 to 20 km/h. Monday 9th 13/25 18°C 18°,18°,18° Partly cloudy. Winds N 15 to 25 km/h. Tuesday 10th 19/32 18°C 17°,18°,18° Partly cloudy. Winds NW 25 to 45 km/h. Wednesday 11th 12/25 18°C 17°,18°,18° Partly cloudy. Winds W/SW 25 to 35 km/h. Thursday 12th 8/23 19°C 16°,17°,17° Mostly sunny. Winds SW->SE 15 to 25->S 30 to 40 km/h. Friday 13th 9/19 19°C 16°,16°,16° Mostly cloudy. Winds SW/SE->NE 15 to 20 km/h. Saturday 14th 13/23 18°C 16°,17°,18° Partly cloudy. Winds NW/SW->S/SW 15 to 30 km/h. Sunday 15th 12/19 19°C 16°,17°,18° Partly cloudy. Winds E/NE 15 to 20 km/h. Monday 16th 11/17 19°C 17°,17°,17° Cloudy. Winds NE 15 to 30 km/h. Tuesday 17th 14/23 19°C 16°,17°,18° Partly cloudy. Winds NW 15 to 30 km/h. Wednesday 18th 15/25 19°C 17°,17°,18° Mostly sunny. Winds W/NW 25 to 35 km/h. Thursday 19th 10/23 18°C 16°,17°,17° Sunny. Winds W 25 to 35 km/h. Friday 20th 8/21 17°C 16°,16°,16° Mostly sunny. Winds NW 20 to 30->SW 35 to 50 km/h. Saturday 21st 8/22 18°C 15°,16°,17° Mostly sunny. Winds N-> W/SW 15 to 25 km/h. Sunday 22nd 8/25 18°C 15°,16°,17° Mostly sunny. Winds E/NE 15 to 25 km/h. Monday 23rd 10/27 18°C 16°,17°,18° Sunny. Winds SW 15 to 25->SE 15 to 20 km/h. Tuesday 24th 14/31 18°C 16°,17°,18° AM cloudy. PM sunny and winds W/SW 25 to 40 km/h. Wednesday 25th 11/33 21°C 18°,19°,20° Sunny. Winds E/NE 15 to 30 km/h. Thursday 26th 12/32 21°C 19°,20°,20° Sunny. Winds S/SW->N/NW 15 to 25->W 45 to 60 km/h. Friday 27th 6/24 20°C 18°,19°,20° Sunny. Light winds->NE 15 to 25 km/h. Saturday 28th 8/29 20°C 18°,18°,18° Sunny. Winds W/NW->W/SW 25 to 40 km/h. Sunday 29th 12/24 18°C 17°,18°,19° Sunny. Winds W/SW and light->NE 15 to 20 km/h.